We are lucky to live in the Northeast where Mother Nature gives a stunning show each season. But in my opinion, the most anticipated season is fall when the trees give one heck of a performance before dropping their leaves. But did you ever wonder why some autumn trees are more brilliant and others seem not quite as stunning? Everyone always has an answer; the wet and freezing winter before, a hot spring, the summer that was too hot or too rainy. So, we looked to the arborists at Davey Tree to help us understand why leaves change color in the fall and what factors play a role in this process. RJ Laverne, a seasoned Davey arborist, explains, "Look at trees as really, really big plants and their leaves as food factories." Laverne says that trees drink water through their roots, take carbon dioxide from the air, and use sunlight to turn the water and carbon dioxide into energy. The process is called photosynthesis, or, 'putting together with light'. A chemical called chlorophyll helps make photosynthesis occur as well as giving leaves their green color. Yet as light wanes in the fall, chlorophyll production decreases and trees begin to shut down for winter. The green hues lessen and different pigments become visible such as yellows, oranges, and browns. 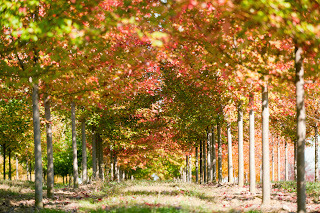 Red, pink and purple pigments, however, must be manufactured in leaves during the fall. These colors are the most variable from year to year because their formation is dependent on favorable environmental conditions. * A late spring or severe summer drought can delay the onset of fall color by a few weeks. 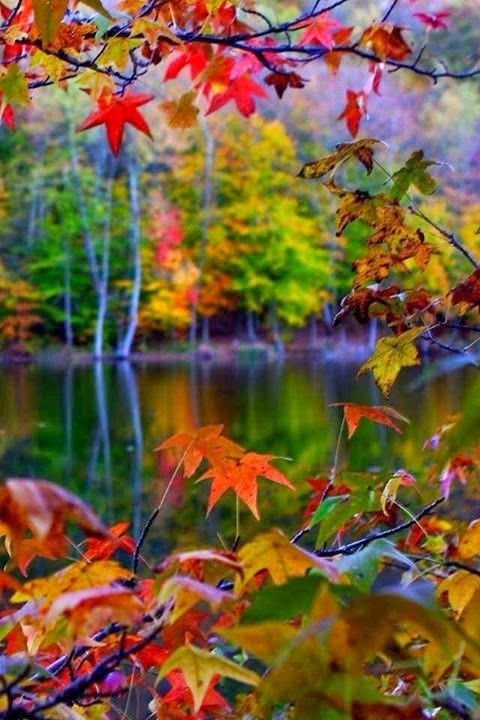 * A warm period during fall will lower the intensity of autumn colors. 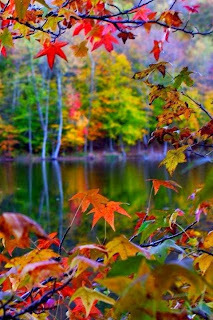 * A warm wet spring, favorable summer weather and warm sunny fall days with cool nights produces the most striking autumn colors. 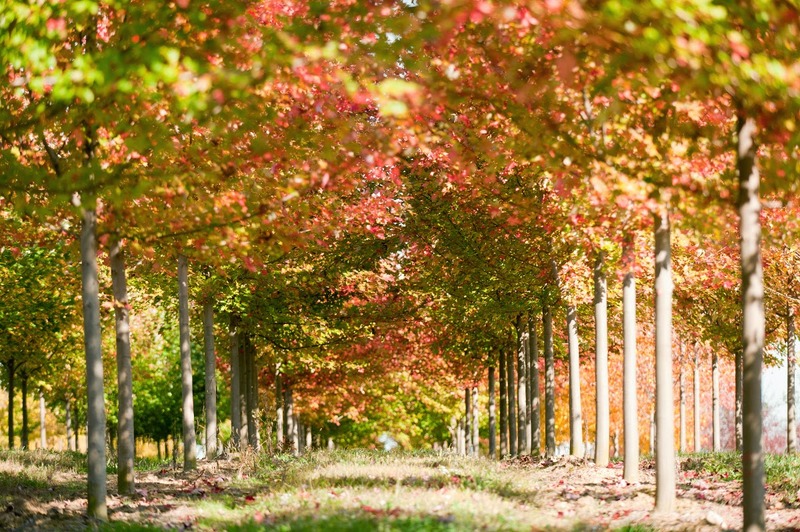 However, trees under stress may drop leaves early. These stressors can be extreme heat, drought, insects, disease and damaged roots. The tree care specialists at Davey Tree can help you determine the best steps to take so that your trees are healthy and continue to thrive. 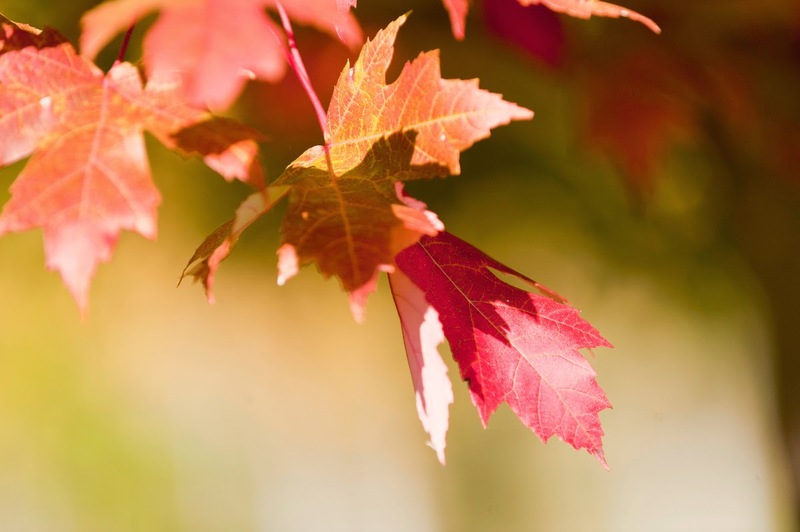 If you're noticing a change in the leaves earlier than normal, it might be best to get a consultation. We hope to see a magnificent showcase of fall colors here in the northeast this year, and we'd love to hear your comments on what you're seeing in your area.